It gave me chills, warmed my heart, and possibly kept me from sleeping that night. Isn’t it an amazing thing to know you are loved? We say those words to our boyfriend or girlfriend, to our spouse, and to our children. Over time, those 3 words can become even more meaningful as we back them up with how we treat the ones we love. I’ve learned how valuable my actions are in our marriage. The best way to show my husband I love him is by how I treat him! The same is true for him. Never am I more attracted to my husband than when he does things that I know aren’t pleasant, but that he does because he loves me. Being in a relationship takes work if you want it to last. Unfortunately, the most romantic songs and sonnets mean nothing without the truest form of love to back them up-serving the one we love! 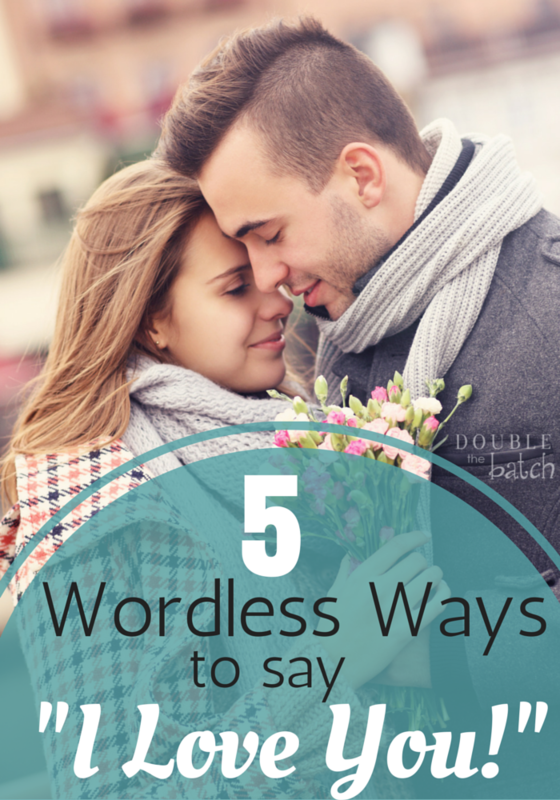 Here are 5 wordless ways to say I love you! 1. Take time to listen. I know how hard it is for my husband to sit and listen to me go on and on about…everything! Yet, he is so good at doing it! He might fall asleep sometimes (who can blame him?) but he definitely gets an ‘A’for effort! 2. Do something unexpected! Everyone has things they wish their spouse would do better. Think of something you don’t usually like to do, but that you know your spouse wishes you would do. Surprise them by actually DOING it! 4. Be there to lift them up! You can be their biggest cheerleader in life. Isn’t it nice when life isn’t going well to have someone there to lift you up? If your spouse is sick, it can be annoying to take on the extra work that they suddenly can’t do. On the other hand, it can be a GREAT time to let them know how much you love them! When I am sick, it touches my heart to see my husband jumping in to help and asking if he can make me dinner. Recently, one of my good friends, who lives next door, had to go to the hospital when she suddenly lost the ability to walk or get up by herself. Luckily it was a temporary thing that she is now slowly healing from. It touched my heart, though, to look out my window one morning and see her husband holding her arm and helping her go for a walk outside. These are the times when we can make or break a relationship! 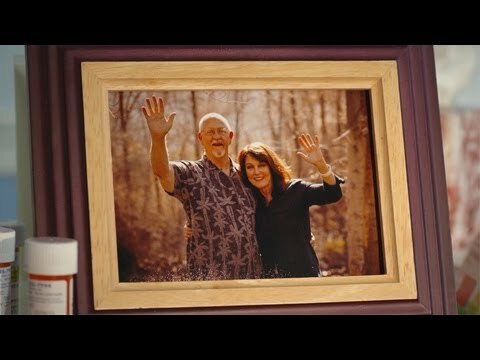 Here is a great clip that I think resembles true love more than anything else! It makes me cry every time I watch it. In showing our love for others, the words, “I love you” become more than just words. Let’s make our actions speak even louder than words!